This 41.75mm. 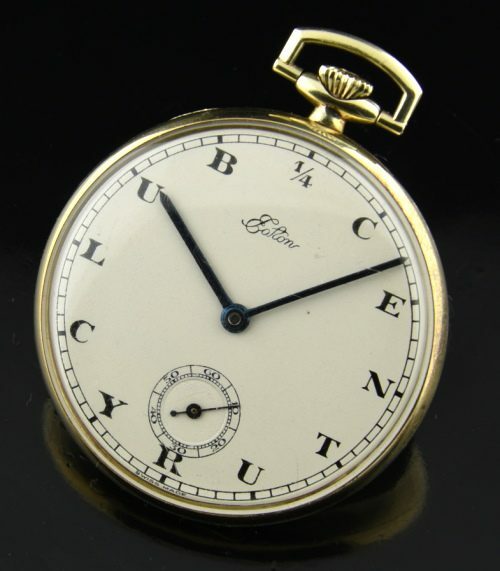 ROLEX pocket watch was given to employees of the Eaton’s department store in Canada. Eaton’s operated from 1869 to 1899 in Canada and was one of a very few of our premier department stores. When you worked at Eaton’s for 25 years, you were awarded a watch (up until the 1970’s). These watches (luckily) were produced by ROLEX! This pocket watch is 14k. 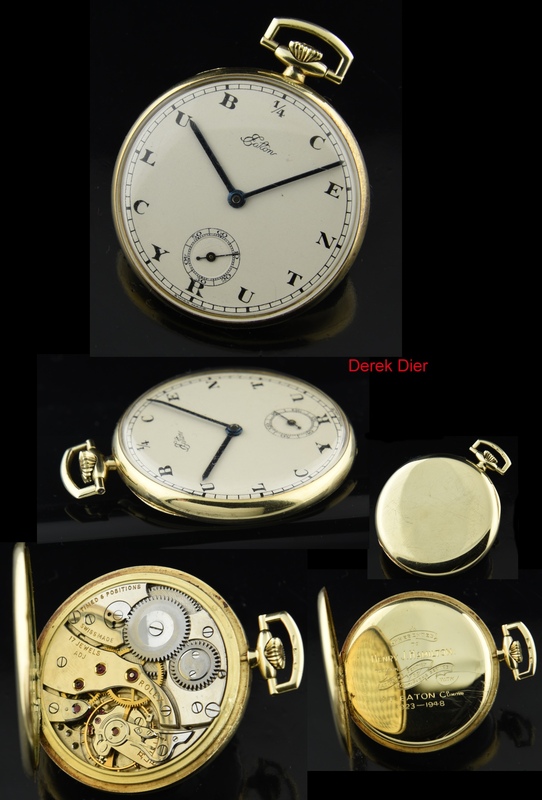 solid gold and houses a very fine ROLEX movement, which is adjusted to six positions; making it a very fine watch overall. The dial and hands are completely original.